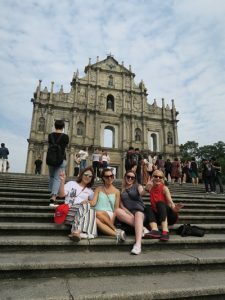 Eight Australian agents have recently returned from a familiarisation which focused on two contrasting Asian coastal cities – Macao and Xiamen – on a single ticket. Organised by the Macao Government Tourism Office, the journey was designed to showcase the former Portuguese enclave’s close links with the nearby Chinese province of Fujian, essentially attracting more Australians to both destinations. The aptly-labelled Fujian & Macao “The Maritime Silk Road” familiarisation was supported by Xiamen Airlines and Fujian Province and followed a product launch in Melbourne and Sydney earlier this year. Much time and effort had been put into creating and implementing the significant co-operative which, the tourism bodies agreed, would further elevate this Asian region as a genuine world centre for tourism and leisure. The “The Maritime Silk Road” initiative also builds on the success of a MGTO and Xiamen Airlines co-operative campaign in 2017 which saw the creation of a “Two Cities, One Airfare” from Sydney and Melbourne. Macao has long been a favourite drawcard for Australians, attracting a nudge under 100,000 each year.